Sometimes the hard work of woman can go unnoticed, but you can acknowledge their contribution by nominating a female role model for the 2018 Women Hold Up Half the Sky Award. 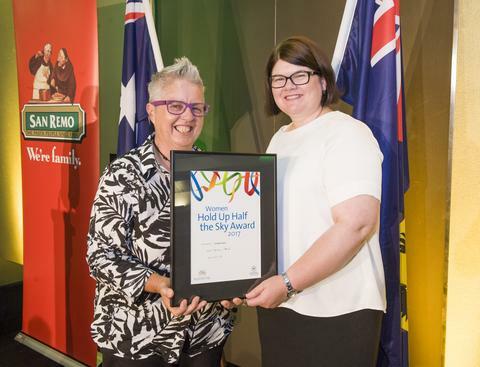 Jointly coordinated by the Office for Women and the Australia Day Council of South Australia, it’s the only Australia Day award that specifically acknowledges the contributions of women. The award was established in 2011 and takes its name from a work by internationally recognised South Australian artist Ann Newmarch. It recognises the outstanding contributions women make, in voluntary or paid roles, in advancing and enriching our society. It is intended to highlight those women who have previously not been publicly recognised for their work and service to the community. Nominations close on Friday 24 November 2017. You can find out more and submit a nomination.